At the turn of the 20th century, Buffalo New York was a thriving epicentre. 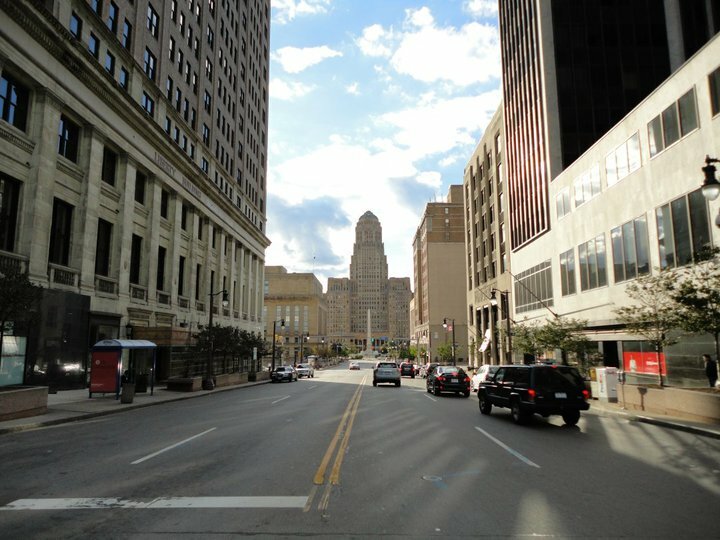 Like Houston Texas, Buffalo was at the height of its success throughout the industrial revolution succeeding with grain and agricultural production which continued well into the 1900’s. Due to its strategic location on Lake Erie, Buffalo paved the way as a port city for many years linking the United States North East with Canada. In the latter half of the century, Buffalo began to sink into decline and today is not only one of the largest cities for unemployment in the United States but has experienced recent spikes in crime, gangs and infrastructural depreciation since as early as the 1980’s. Today Buffalo is considered a college town thanks to the University at Buffalo-The State University of New York as well as many other private and public institutions which attract many young people from surrounding towns Niagara and Rochester. Most, however live and work outside of the Buffalo area and are merely visitors to the city. Located on the boarder of the US and Canada two hours south of Toronto, Buffalo for all intensive purposes is a gateway city, yet many locals have not been to Canada or to New York City; however this is mostly on principal. There is a growing rift between the major cities of New York State; NYC, Buffalo and Albany (the actual capital of the state) are fighting it out for the benefits of taxpayer’s money. Anyone local to upstate will persist in telling you Buffalo receives no tax benefits to put towards infrastructural improvements or social developments, evidence of which is easy to find. Public transport is virtually non-existent and although relatively cost affective, the train line runs to nowhere and the busses are not only dangerous but highly unreliable, which proves moving around the urban sprawl of wider Buffalo even more challenging without the use of a car. Despite all of this, the state still persists on budgeting more and more of taxpayers’ money on improvements to New York City, insisting that the return on investment from tourism will filter down to cities such as Buffalo or Albany. Although it may be the states intention to filter down funds, it is far from clear what money the city of Buffalo does receive is actually spent on. The city is overwhelmingly depressing, dreary and ghostly and the low morale of the citizens is even more alarming. The University employees more than 60% of people working in the Buffalo area, yet way out of town and extremely isolated, the University too will no doubt struggle for students in the years to come. The foundations of a once brilliantly successful city still lie beneath the despair and melancholy that surrounds Buffalo New York, yet there appears to be no real basis for improvement in the eyes of the state. The people appear to have lost hope and have accepted their dislocation and hopelessness from the rest of the state. What is even more discouraging is the fact that Buffalo New York is not the only US city to have ended up this way.